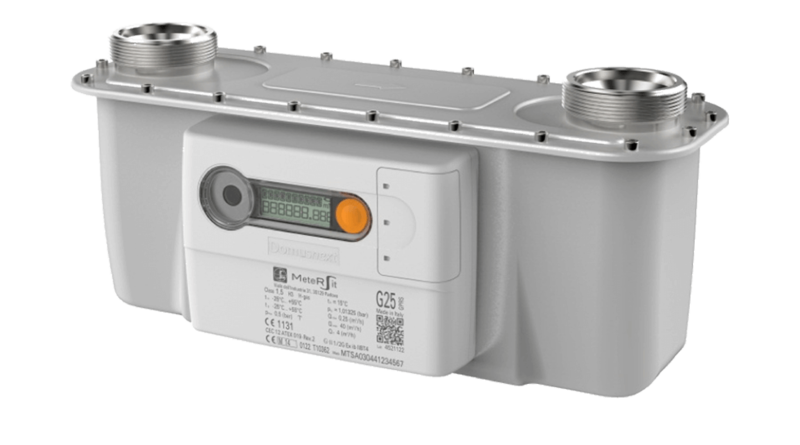 MeteRSit provides a comprehensive range of smart and integrated gas meters to the domestic, commercial and light Industrial Meters’ market. 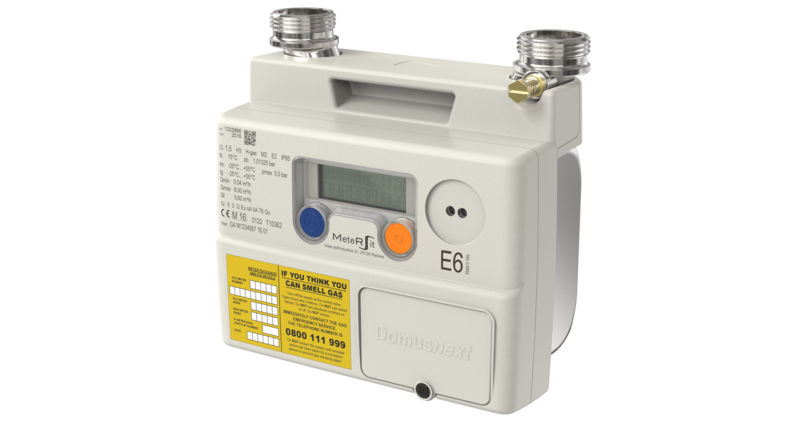 UMW has exclusive UK and Ireland distribution rights for the supply of the MeteRSit range. The measurement technology that the MeteRSit Domusnext® range deploys is based on a MEMS “Micro Thermal Flow Sensing” principle. Two temperature sensors are symmetrically placed around a micro-heating element: under stopped-flow conditions, both sensors measure the same temperature. As the flow rate increases, heat is carried away from the upstream sensor towards the downstream sensor and the measured temperature difference between the two sensors is proportional to the mass flow rate.